Lives and works in Menomonie, Wisconsin (USA). 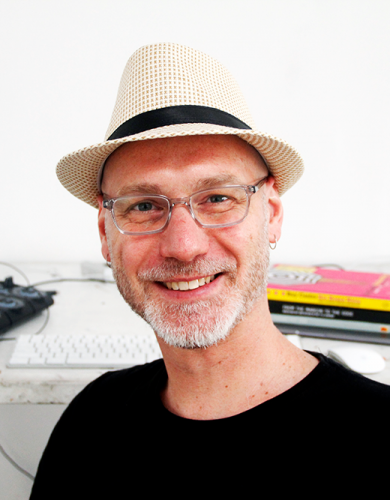 He is an associate professor of Graphic Design and Interactive Media at the University of Wisconsin–Stout. His research explores how interactive design and digital media can facilitate individual expression and community involvement. As an artist and designer, Robert creates compelling experiences for users through communication and interaction. His work explores interactivity through immersive aesthetic contexts and meaningful user interaction. The purpose of this exploration is to allow people to feel the exhilaration that can result from creative participation. Robert’s main goal while at Despina is making progress on a project that synthesizes visual communication, interaction design, sound design, and music. The project is based on his interest in urban Brazilian culture.